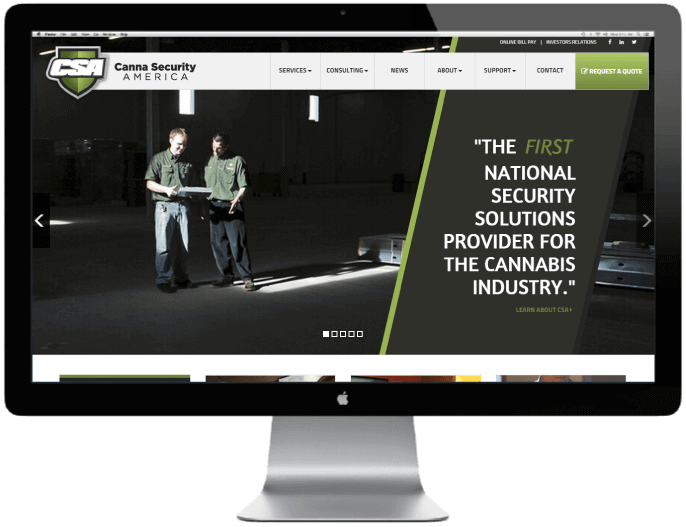 We designed a website for Canna Security America (CSA). The Nations first security solutions provider dedicated to the cannabis industry. Providing a range of services and consulting.